With a foldable compact form and a stylish look, the JJRC H53W is designed for intuitive operation. It features a foldable arm design, allowing for carrying anywhere on the go without hassle. 480P camera, FPV real-time transmission,gives you every perfect moment of the captured pictures at time.The drone also features sound mode,altitude hold,headless mode,one-key take-off/landing etc.to make your flight stable and happy. 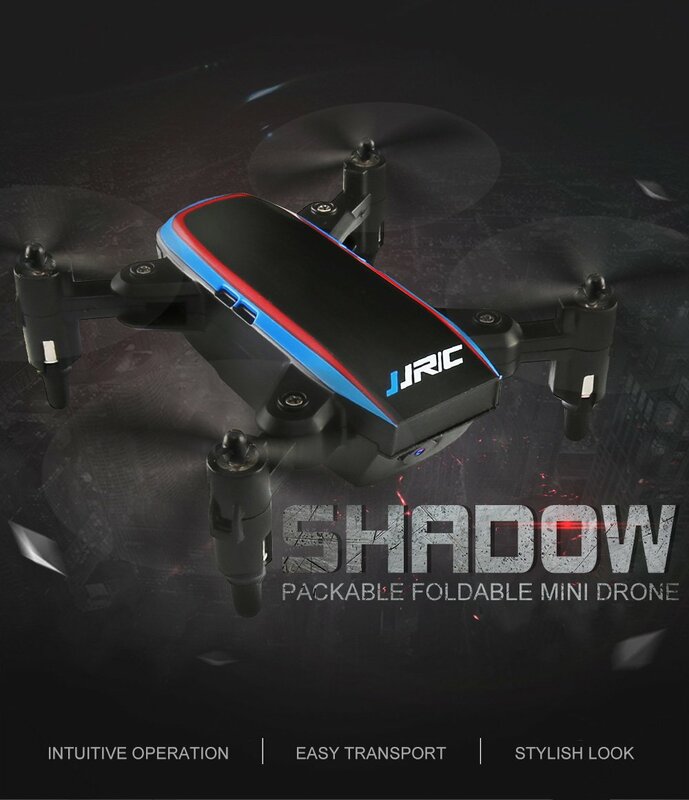 Designed to be portable, JJRC H53W SHADOW features a foldable arm design, allowing for carrying anywhere on the go without hassle. Built-in 480P camera, FPV real-time transmission, helps you seize the wonderful moments from the live-stream images or videos directly on the screen. One-touch button on the controller for easy takeoff and landing. Click"Sound Mode"and the drone would response to your voice command to move forward,backward,left/right sideward and take-off and land. * With foldable arm,mini body,a unique folding shape, cooler shape, easy to carry. * 480P wifi FPV camera are tuned amazingly to capture stunning pictures and videos from the sky. * Click "Sound Mode" and the drone would reponse to your voice command to moce forward, backward, left/right sideward and take of land. * Draw a fligh path on the screen, and the drone would conduct an autonomous flight along the designated path. * With 3D flips & roll, continuous roll for perfect action and wonderful performance.